Comments: This palm produces huge fan-shaped fronds to six feet long. Flowers are produced on large panicles that contain so many seeds they droop beneath the canopy in late summer. 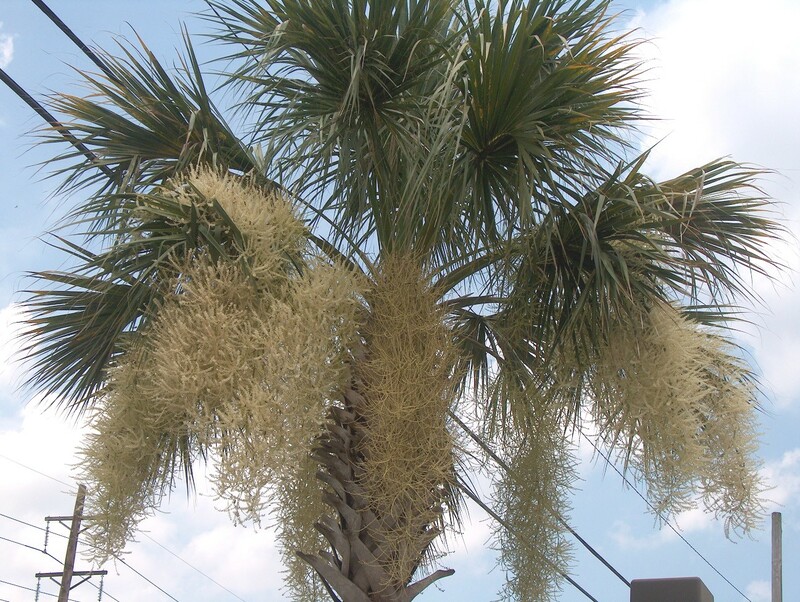 This palm tolerates a wide range of growing conditions and does especially well near the coast where salt spray can be a problem for many plants. This is the state tree for South Carolina and Florida where there are many native palms growing. They transplant in large sizes and take two years to become well established in a new environment. The terminal buds are edible and are the source of "heart of plams" used in salads and other dishes. Once this terminal bud is removed or killed the palm dies.